You might think that decorating your bathroom could cost you an arm and a leg. While it’s true that there are some rather extravagant designs out there, many great things can be done on a tight budget. Your bathroom should be a place where you can fully relax and unwind, a personal space that allows you to reflect, rest and regroup. So here are a few great things you can do on a very tight budget to make your bathroom beautiful. Bathrooms are usually small, manageable spaces and as a result they are often very quick and easy to repaint. With a choice of stunning colours, you can pick up a tin of paint at VictoriaPlum.com. Go for a couple of 2.5 litre buckets and just give the room a spruce up. You will be instantly amazed at how beautiful it looks, providing you with a solid base from which to do a few other easy decorations. Remember, it’s best to use waterproof paint, as it will last a very long time. It will also never flake and crumble when subjected to repeated steam from hot water, allowing you to fully enjoy relaxing baths for years to come. Using a brilliant colour, such as white, will also help reflect any natural light and make the room a lot brighter. Placing a mirror on the walls adjacent to the main window will allow much more natural light to enter the room. Similar to techniques used in photography, you’ll be able to bounce light to all corners of the room. Mirrors also give the illusion that the room is much bigger, not to mention breathing life into any bare walls in your bathroom. Bad flooring can really drag a bathroom down. Fortunately, vinyl flooring can be extremely hard-wearing, and is available in many contemporary styles to suit a range of budgets. A 3 metre squared bathroom can be re-floored on a very tight budget indeed. This, combined with your new paint job, will make the room look incredible. The great thing about vinyl flooring is that it is very easy to maintain and keep looking beautiful. A mop and a little bathroom cleaner every now and then will ensure it remains fantastic. For further inspiration, why not take a look at our bathroom on a budget case study with videos, where we refurbished a whole family bathroom for under £600! How much should you pay to have a bathroom fitted? 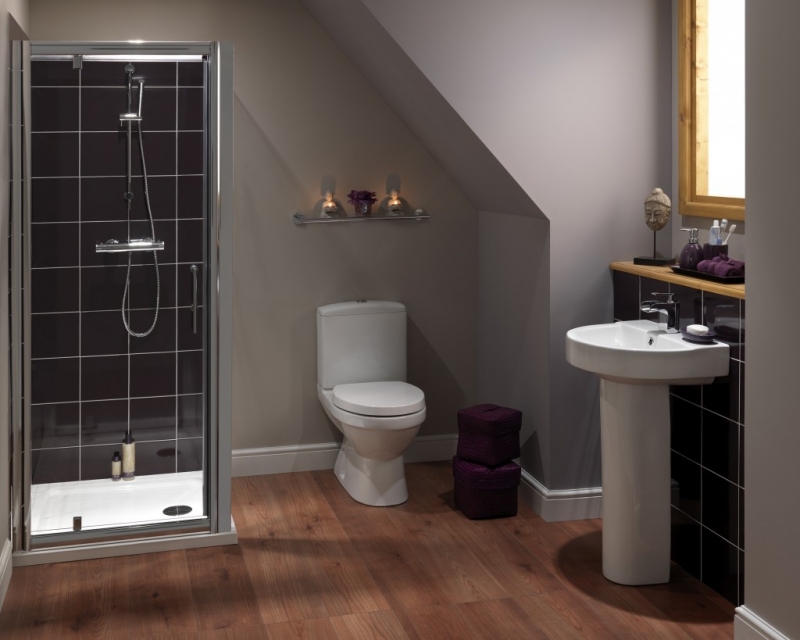 If you're planning a new bathroom, but don't want to pay over the odds for installation, make sure you check out this article. We give you the lowdown on just how much a bathroom should cost to install. The glamorous art deco era of the 1920s and 1930s, with its bold geometric shapes and strong colours, works brilliantly in bathroom design. Here's how you can get the look on a budget.